Greetings all! 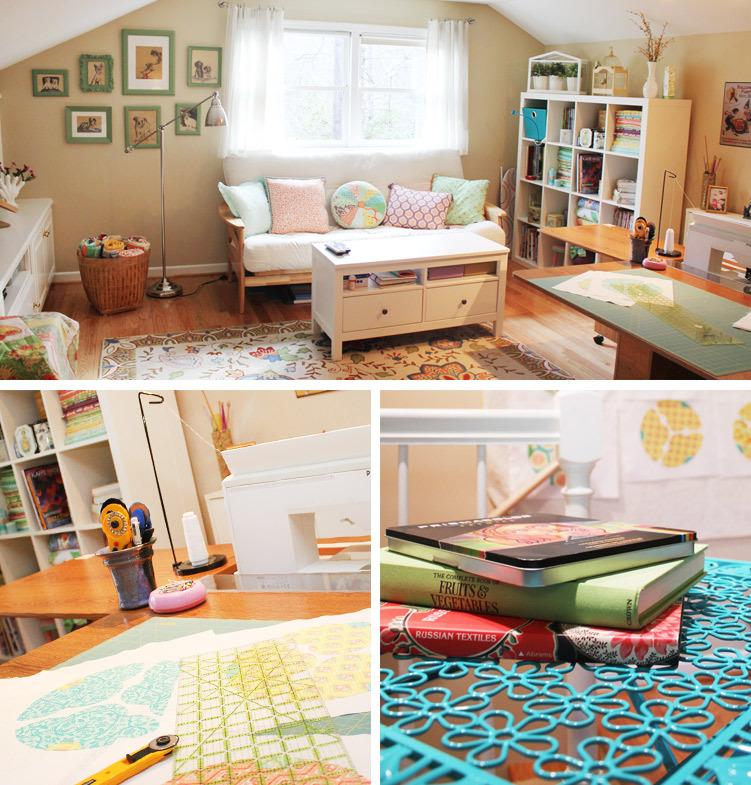 Welcome to our stop on the Blog Hop! For those of you who aren’t familiar with our little fabric team, I’m Lauren and I design fabric with my mom, Jessi. And while our instructions have since changed, we couldn’t resist showing you a few pictures of where we spend LOTS of time each day. Not to mention the fact that it’s newly redecorated too…which we’re still pretty pumped about. The following photos will serve as the tour. In the photo above you can see our Ikea bookshelf that’s been put to good use with some of our recent fabric stashes, books, and various other nick nacks. Below is a zoomed out view of the studio. 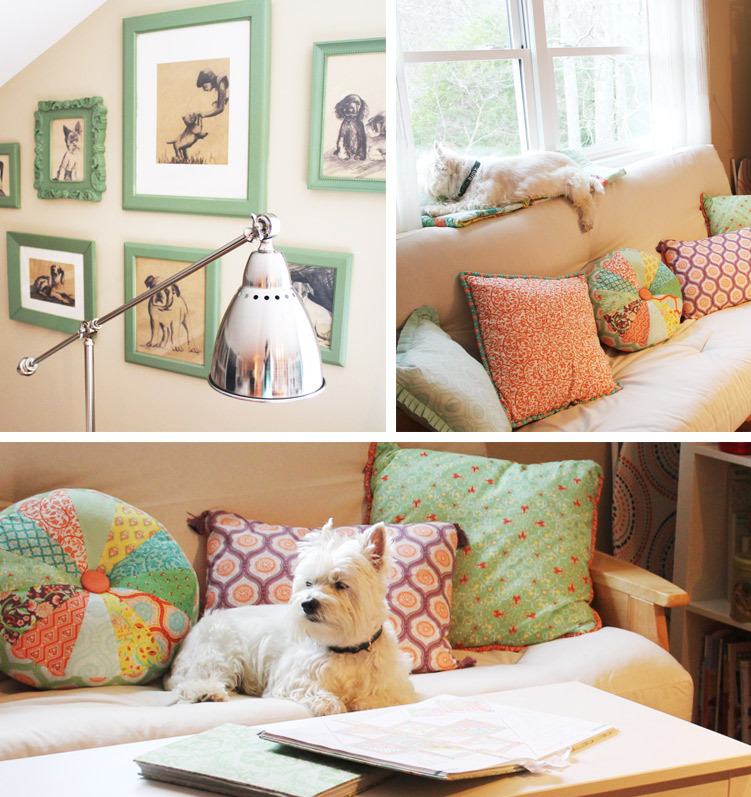 We wanted this room to remain comfortable, while still being extremely useful. Here’s some storage that we have beside the computer. Some of the little pales are suspended from the wall… others are made up vintage tins that my mom has been collecting for some time now. Below that, is a picture of two of the x-large, gridded sketch books that my sister and I make for my mom. We’ve made one out of each of our previous lines. 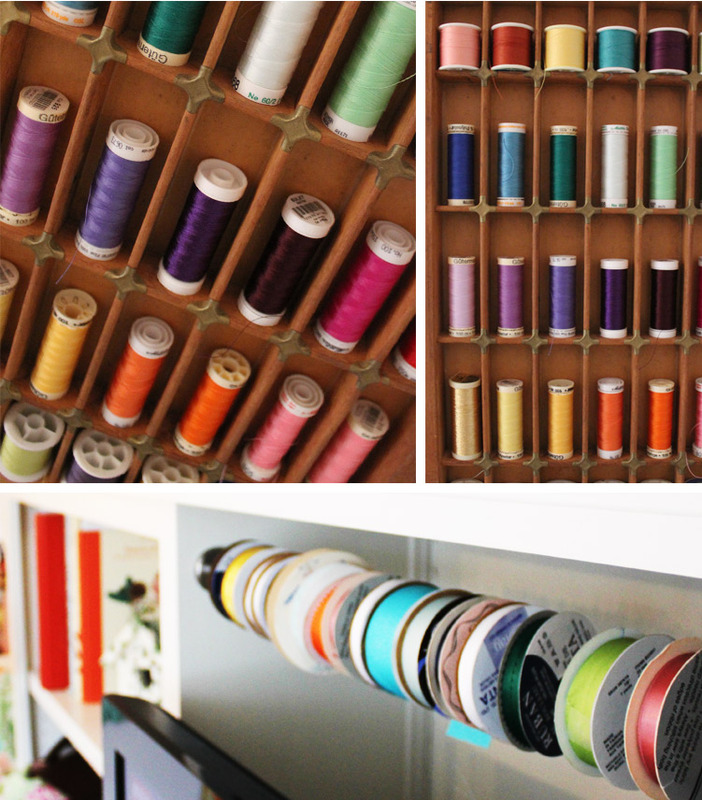 Here’s a colorful collection of thread that we have displayed in an old type tray. We also have a row of ribbon that has been threaded onto a wire above our tv. And last but not least, our favorite boy in the whole world, Rudy. He’s so cute that he makes an adorable addition to almost any decor. We also have a wall of dog drawings that I drew a few years back in which he makes a few appearances as well. We’re number 27! You can download the pattern here… My mom added a little applique in the center too, but that’s optional. We like to think it adds a little something extra to the block. 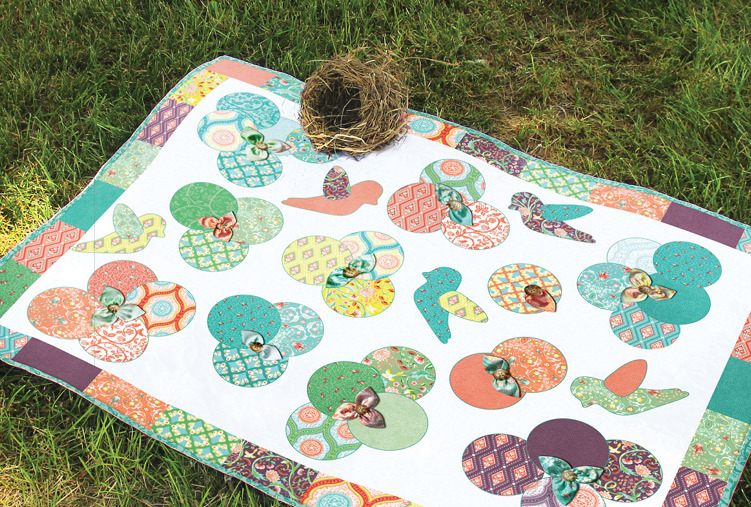 We’re going to draw two winners (next Monday) for this blog hop, who will receive a charm pack and a jelly roll from our most recent line, Birds and Berries. For those of you who are unfamiliar with the line, scroll down to my previous entry where I walk through the line in detail. It’s super cute! ALSO, we’ve got a free pattern (shown in the picture below) that features this line, and you can download it online here. We think its especially awesome because you can make the entire thing with two charm packs (plus some backing). 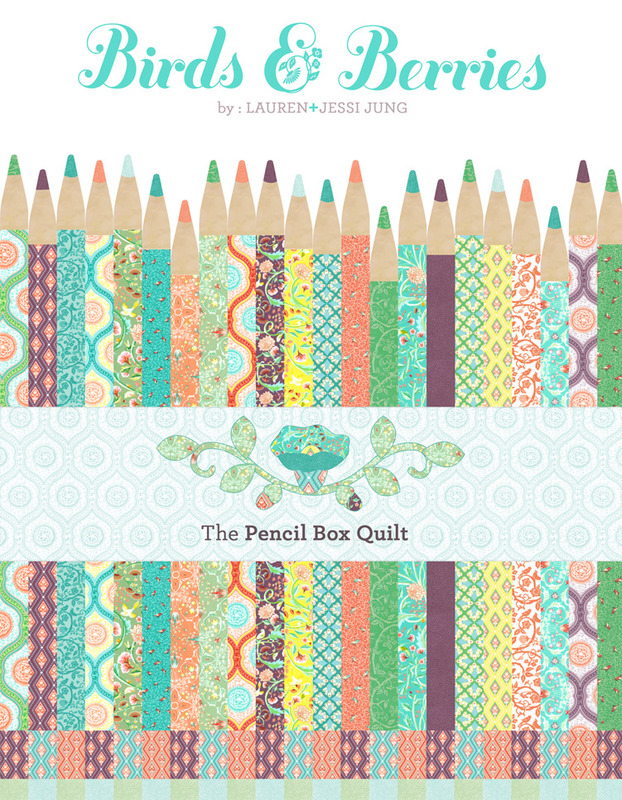 And if you’re a quilt store owner who wants some glossy printouts of this pattern, just shoot me an email at LaurenJung1@gmail.com, we’d love to send you a few. AND If you want to be entered a second time, then like us on Facebook, and let us know that you did so with a second comment. Whew, ok, I think that’s everything. Next on the Blog Hop are: Primitive Gatherings, Malka Dubrawsky, and Me & My Sister. Also, the other bloggers going today are: Kathy Schmitz and Laundry Basket. Good luck and happy quilting! This entry was posted in Birds & Berries and tagged Birds & Berries, Fun Little Tid Bits. Bookmark the permalink. Post a comment or leave a trackback: Trackback URL. your blog and fabrics are beautify I just randomly found you and will most definitely like you on FB hope I win this gorgeous quilt! Yes, PLEASE! 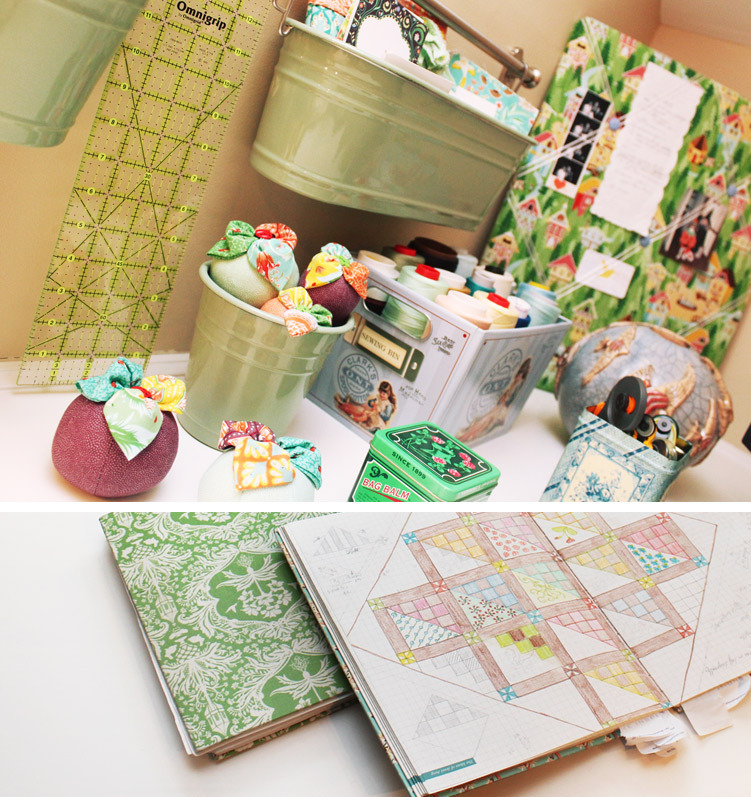 I am sure I can find a use for those lovely fabrics! 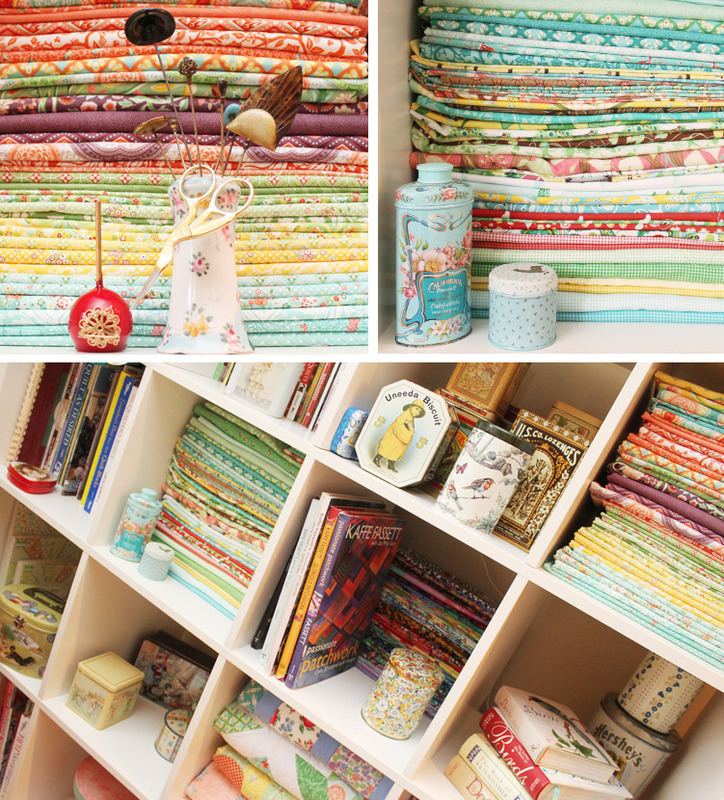 lovely quilts!!! Your Birds and Berries is waaaay too cute! I liked you on FB!!! I “Liked” you on facebook as suggested! Thanks for the second chance. What beautiful fabrics! Thanks for the opportunity to win, too. 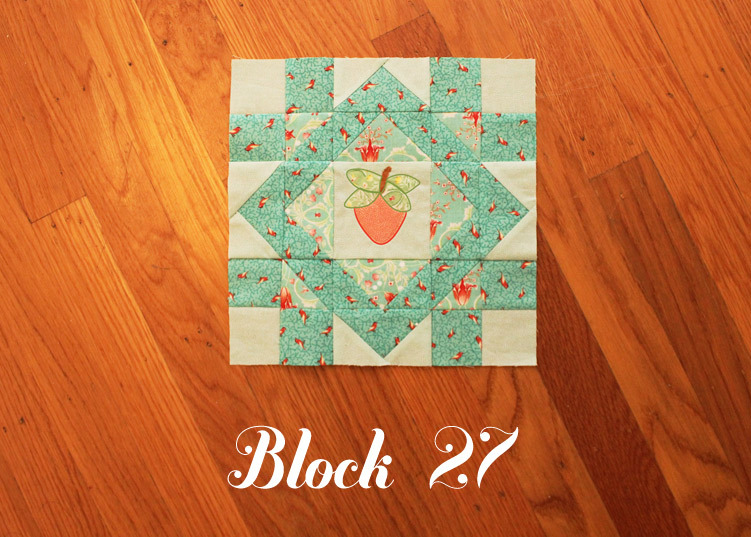 Wow what an awesome block, quilt, blog, and fabric. I am glad I have found your blog! Your fabrics are so cheery. Thank you for the chance to win. Love the new fabric! I follow yo on Facebook . Love your new fabric and the quilt pattern. Too darn cute! Thanks for the wonderful prizes. I am off to like y’all on FB. I would love to win some of your beautiful fabric. Thank you! Love the applique – perfect with the fabrics chosen. The range of colors is yummy – no better word! Hard to choose a favorite so a little of this and a little of that would have to do. Thanks for your inspiration and generosity. Like you on FB too! Love love love your fabrics!! Just found you on FB so I can follow along there too!! Love your new collection!! And the free pattern download!! I'm the designer in the group... And I write about half of the blog posts here. I'm also co-founder of a startup called Shelf (launching soon). Powered by WordPress. Built on the Thematic Theme Framework & Sugar Cane by Able Parris.